Buyers home sale fell through so we are back on the market! Come check out the new and improved home and one of the lowest priced homes in Reunion, with a finished basement! New furnace and A/C and roof recently installed. 5 bedroom, 4 bathroom home with full finished basement with a large and open family/rec room, an additional 5th bedroom and an updated bathroom. Check out the spacious kitchen, including a double oven. Your new master suite includes 5 piece bath with huge soaking tub and oversized walk in closets! Relax by the cozy fireplace in your main floor living room with beautiful floors. Great location in Reunion, where you can walk to the local school and parks, and less than 10 minutes from the light rail station. 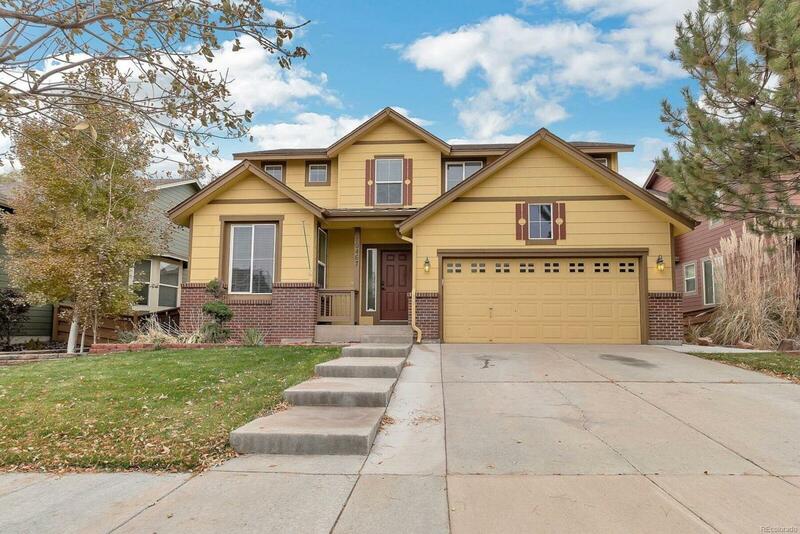 With exclusive access to the Reunion recreation center, proximity to DIA, and once you compare the amount of space, features and price compared to other homes in the area and you will realize why you need to see this one today! Offered by Dream Solutions Realty, Llc.